Ever since a specific exemption in the DMCA (Digital Millennium Copyright Act) made phone unlocking illegal earlier this year, a movement has been underway to make sure consumers had the right to unlock their devices once their contract period is up. A bill was proposed to make it legal, and was passed by the Senate fairly recently. Today, the House of Representatives unanimously passed the bill, making phone unlocking legal. Known as the “Unlocking Consumer Choice and Wireless Competition Act”, it now allows customers and third parties to unlock phones sold to them by carriers, without the fear of a hefty fine (or five years in jail). All that’s left to make this bill active is a signature from the President. The only slight bad news is that the bill isn’t permanent. It’s subject to review next year, and will be reconsidered by the Library of Congress. After that, it’s reviewed every 3 years unless circumstances change. Still, it’s unlikely that the bill will every be reversed, but crazier things have happened. This news comes only a few days after we discovered T-Mobile is working on a Device Unlock app which remotely unlocks any compatible device. If information on T-Mo’s support pages is correct, the Samsung Galaxy Avant will launch with the software pre-installed. This comes just a month after we were told the test engineer models were equipped with it. Could this be the time and a chance for T-Mobile to show it really is the Un-carrier? By allowing customers to free their phones of a carrier lock, it would send a strong signal out to its competitors that it doesn’t want to restricted any subscribers. tldr. does this mean if i pay outright for a phone will they unlock the phone on the spot even without service from the said carrier? for example lumia icon from verizon or Galaxy S5 Active to use on t-mobile’s network. or do you have to rely to 3rd party unlock sites? I hope there are sufficient repercussions against the cell phone companies for not fully complying. I have an old Motorola Electrify I US Cellular worldphone, which was made to have the GSM locked within the US but okay to use when roaming. However, when USC left the Chicago market last year I asked them to unlock the phone to use with T-Mobile. They refused, conveniently saying that it was illegal for them to do that thanks to the stupid interpretation of the DMCA law. After I heard that USC and other carriers agreed to unlock out-of-contract phones, I called them again and they gave me an unlock code that doesn’t work. I called them again and they told me that the code only works for the CDMA part, which I don’t care to unlock because I know the phone wouldn’t work anyways with any other CDMA carrier. All, I wanted is the code to unblock the GSM part, which would have use in T-Mobile or AT&T. They refused, stating that they are not capable of unblocking the GSM part. I think it’s BS. I wish they could be sued for not complying in good faith. 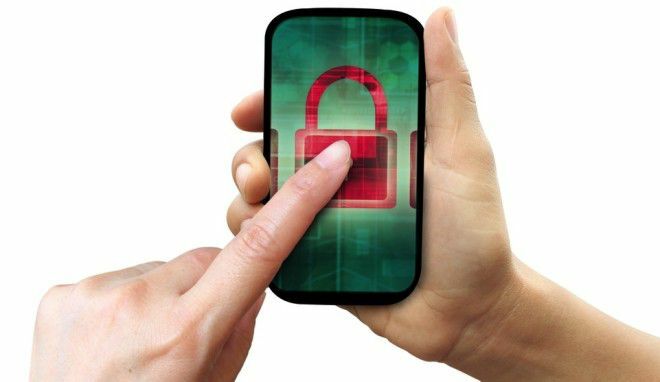 Generally the only time a carrier is unable to unlock your device is if they or the manufacture is unable to obtain, locate or generate the code to do so. Most carriers have these lists handy and get them to you in 48 hours or less. Older devices however may take longer if they can be unlocked at all. The proposed law makes it legal to unlock your phone (it was illegal under the DMCA). It does not require manufactures or carriers to sell or unlock the phone. Good point if true (I did not read the bill). and where could you go with a sprint phone MVNO? Sprint’s iPhone 5s supports every band that the AT&T, T-Mobile, and Verizon iPhone 5s supports plus extra LTE bands. There are also many Sprint world phones that’d work on T-Mobile. Except Sprint locks out American frequencies based on American competitor SIM cards. Meaning, put in a TMobile card and you will get nothing. Put in a Mexican card and you’ll get those frequencies opened up. Where did I say they did unlock their phones? The review is likely a means to ensure that the bill can be updated based on technology’s increased speeds forward. It does leave the door open to just let it die, but it also allows the fluid updates to go along with future tech. It’s kind of a smart move. Just glad to hear that this was easily accepted. Cam, did I read that right? It will be reconsidered by the Library of Congress and not Congress? The Librarian of Congress is the custodian of the DMCA provisions and possible exemptions to the default rules are reviewed under his direction on a periodic basis. The original terms of the DMCA outlaw cell phone unlocking by anyone other than the carrier. The review before last allowed a temporary exception, which the mobile industry successfully argued against during the last review a couple of years ago. With each review the law returns to its default state and exceptions must be re-justified. well i live in LA were u can get your phone unlocked for cheap all u gotta do is know the right people n take a trip to east La i got my moms att galaxy s5 unlocked for 75 bucks and some cheap flip phones for 20 bucks. yes there fully unlocked i used em all in mexico with mexican sims. That’s cheap? The most I’ve ever paid to get a phone unlocked is around $30. Congress never does anything unanimously that would benefit the larger population. What’s the catch? What else was passed in the fine print? Is this a sign of the times? Has our Caped Crusader finally met his match? Next step: eliminate loopholes carriers use to circumvent unlocking, such as AT&T using basebands that block AWS (what T-Mobile uses) even when unlocked, limiting the usefulness of their devices with other carriers. AT&T may or may not do that, my experience is that TMobile does not. However if both in fact do this, it likely is to save costs on only activating and getting approved the device chipsets relevant to the majority of their network users needs. Sprint on the other hand is doing so to directly prevent competition and the customers fleeing them in droves are finding out the hard way that these GSM compatible devices have “American” network 850/1900/AWS locked out if an American SIM card from another carrier is installed, however if a foreign one, say like from Mexico is installed, those radios will work perfectly. 5 years in jail…. are you kidding me? For what, hurting your carrier’s feelings? Also, glad to see the House and Senate can agree on something for once in their lives. This topic is always just a bit confusing.. So I guess all the sites online that have been unlocking most devices, and still do! are operating illegally in some aspects…?